For train enthusiasts, this is possibly favorites spot to visit. Augsburg Railway Park has some interesting locomotives on display which are beautifully exhibited with railway artifacts and displays. They have a very good team of staff who help you with information and inputs. Kids will fit ideally here, with all the illustrative pictures and models. Bring your family and friends to have a quality time in the Park. This museum surely deserves a visit to enjoy. Personalize your visit to the city by chalking out a plan using Augsburg trip planner. Book perfect hotels in Augsburg like City Hotel Ost Am KÃÃƒÂ¶, Arthotel Ana Gold and Hotel Augusta. Love this? Explore the entire list of places to visit in Augsburg before you plan your trip. Fancy a good night's sleep after a tiring day? Check out where to stay in Augsburg and book an accommodation of your choice. 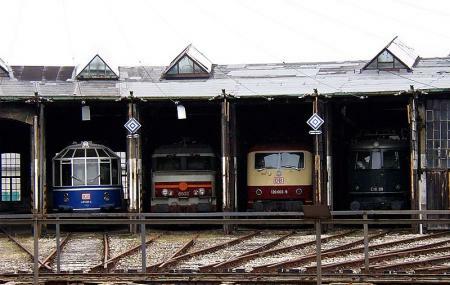 Old trains on display. Huge area with old industrial structures. Hope it reopens soon. It was closed when we have arrived. Sehr leckere Burger. Preis Leistung vollkommen i.O.